If the standard size we provide is not fit for you,you can put your custom size there, we will make it as you want. 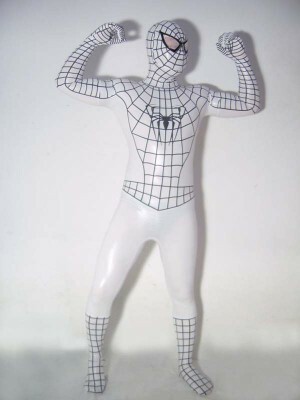 White lycra spandex unisex spiderman zentai costume suit outfit zentai with black stripe,full body zentai spiderman. 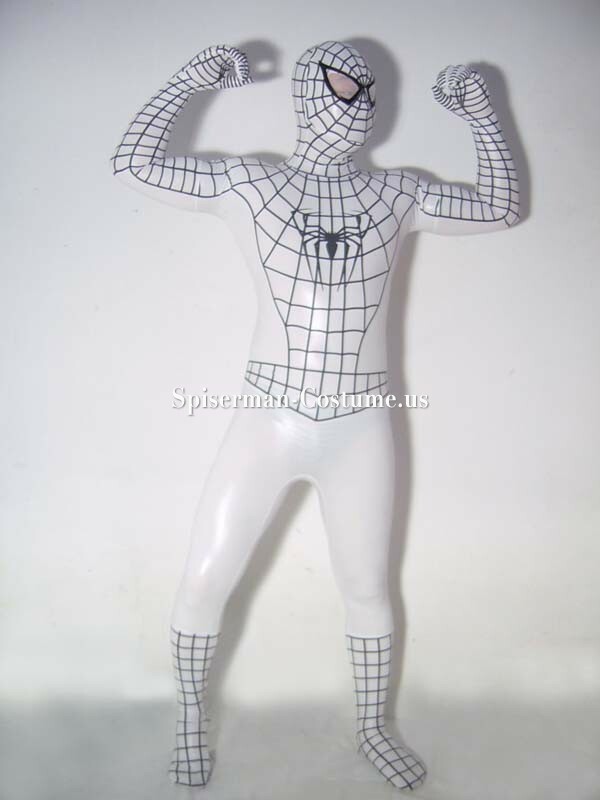 it is new style spiderman so it's stripe is different with the first spiderman.and there also has a spider on the back. zipper is from left to right. You could fill in your accurate measurement and we free custom make the zentai for you,or choose standard size for your zentai.